A child’s birthday party is a special thing. It is when they are surrounded by all of their friends and family. They are made to feel celebrated and loved. It is also a parent’s opportunity to go that little extra mile for their child; an excuse to spoil them without feeling guilty about it. Children remember the birthday parties they have forever. These parties become some of their most cherished childhood memories when they are adults; a source of nostalgia and warmth. 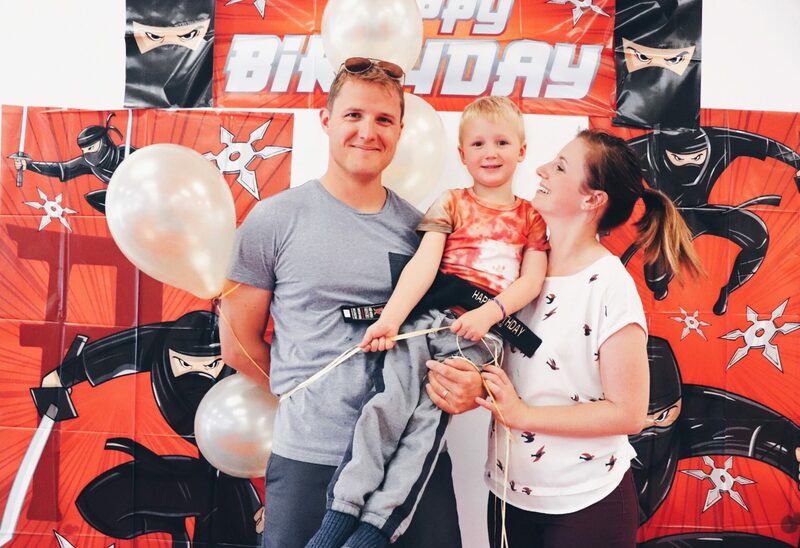 They use these memories to fuel their efforts towards making their own children’s birthday parties the best that they can be. It is this cycle of happiness and love that CFTP wishes to continue and it is the reason that we offer martial arts birthday parties to members and non-members alike. When a child has their martial arts birthday party with us they become the teacher. They are brought in a week or two before the event to go over special instructor training. During this time they are taught how to teach. Even a child who has never done martial arts before will begin to build and sharpen their leadership skills during this training session. The first thing they are taught is how to run the warm up. Depending on the age this can consist of jumping drills, calisthenics (especially push ups! ), stretching, kicking and punching targets, and even performing blocks on a foam stick. After the soon to be teacher is tough the warm up they learn a few fun drills that they will do with their friends during class. These drills and games usually consist of races, jump kick trials and other fun martial arts activities that keep the children focused and active all while having a great time. The next part in the instructor lesson requires extreme focus. The student is taught how they will cut their cake with a real martial arts sword. They are taught how to hold it, handle it (with the help of an instructor of course), and most importantly the respect they need to treat it with. This is exemplified in a mantra they must learn and repeat during the party right after they remove the sword from its sheath, “this is not a toy this is a weapon; it must be treated with respect”. Although this section is extremely exciting for the student it is also where you can see the highest level of concentration throughout the entire training session and party. The last part of the instructors training session is where they learn about board breaking. They are taught to use extreme focus and power during this exercise. This part is great, every child wants to break the board and they receive a huge boost of confidence when they do. After this training session it is time for the real party. The birthday child is presented with a ceremonial Black Belt at the beginning of the class to let everyone know that they are an instructor for the day. The kids have great time learning and demonstrating new martial arts techniques, and the parents have a great time watching them. We recently held a birthday party at our Clarkson location for Liam and Ethan Newhouse, long time members of CFTP. Liam did a great job as the older brother and the leader and Ethan loved helping him. The boys used their tremendous energy to keep their 20 plus friends excited and engaged the whole time. Parents Scott and Stephanie made sure there was food and drink for all the children and presented them with amazing loot bags at the end. Liam’s grandfather was even there to help it was truly a family event. 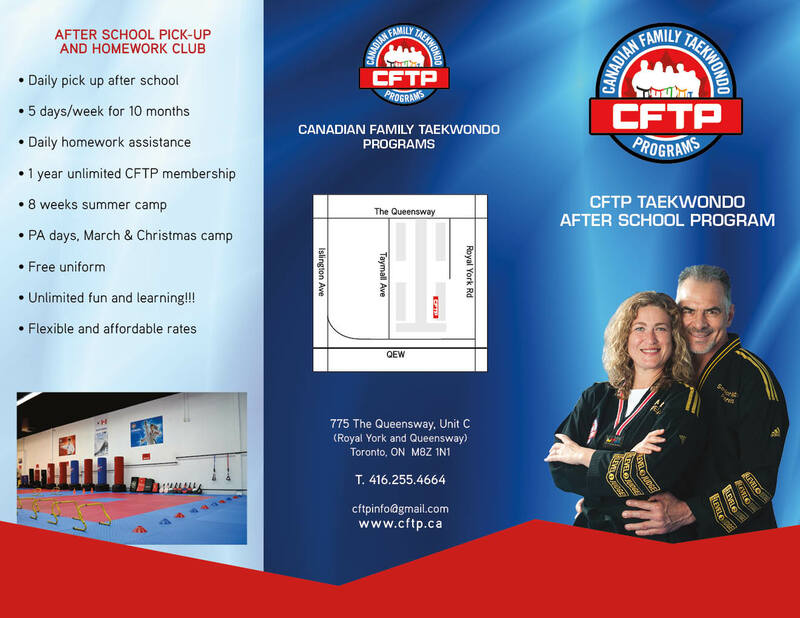 CFTP martial arts birthday parties create memories your child will never forget, contact us to book yours today.